It was particularly relevant to me at that time because I’d been recently talking to a woman who was somewhat disillusioned with love and had lost the faith that that man would appear in her life anymore. Like many of us, she was focussing her energies on trying to find that person externally, rather than create the rich soil in which that relationship could be manifested in herself. People who are confident, loving and open are appealing to others because they exude those qualities from every pore. Conversely, if we become anxious, wanting and desperate, those qualities will be picked up by another and may well create a similar emotion in that other as well, which can be unattractive. One of the hardest things to do after a devastating break up or loss in our lives is to pick ourselves up and find trust and love again. It’s so easy to stay in that ‘helpless’ energy and even wallow in it. But whether we like it or not, after moving through the natural seven stages of grief, we must try to do as Eckhart Tolle suggests: find a portal in which love can enter. And that only resides in us, not in someone else bringing it to our door. And in my experience, once we have found our self-confidence, the need for someone else to fulfil our void disappears, too. So whatever relationships do come after are so much richer for that journey of self-discovery. Of course, it’s easier said than done, but I wish that lady, and all who go through a loss of any kind, well. I believe light is out there for us all, but finding it in oneself first makes the search so much easier and discovery more rewarding. Last year’s party was a huge success with food and drinks from those fabulous Hidden Hut team and this year will be even better. The theme is 4 from 4. 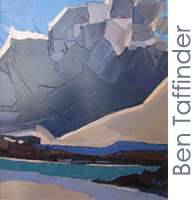 We have 4 still life paintings each from 4 of our artists: a total of 16 wonderful works from Ben Taffinder, Claire Henley, Penny German and Jenny Aitken. What’s more, many of our artists will be at the event for you to meet and chat to. So I hope you can make it on Wednesday 28th December from 6.30pm. If not, the exhibition will be live on the website here on Boxing day, so you can get a first-look at the blinding works. 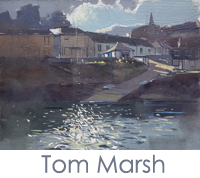 The exhibition itself will run until the New Year, so look forward to seeing you at some point. Now, I have for you one of the most exciting new artists I’ve been itching to let you know about. 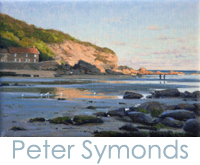 Peter Symonds is one of the UK’s leading painters and he stumbled across our gallery last summer on his painting tour. 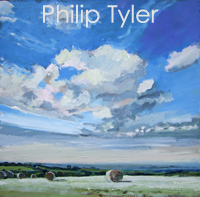 “This is easily the best gallery in Cornwall”, he told me (flattery will get you everywhere, Peter!!) and so we decided on that day to work together. You can see Peter’s incredible work right here. We have had a couple in-house that have already sold so here is the latest collection, with more on the way! Welcome, Peter! And if that’s not enough newbies for you, how about 2016/17’s newest gallery book? 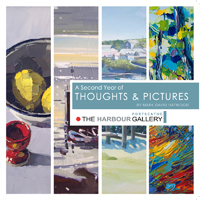 Thanks to the overwhelming sales of last year’s book, A Year if Thoughts and Pictures, we have this year’s edition ready to purchase for you: A Second Year of Thoughts and Pictures. You can buy both copies by clicking here: a lovely coffee-table book at just £8.99 and an excellent Christmas present for friends and family? So what’s new from our superb stable of stars? 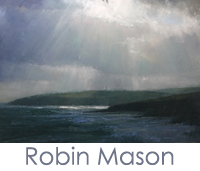 That aforementioned humble gentleman, Robin Mason flew down last weekend with an incredible new collection. You can see those on his page right now. 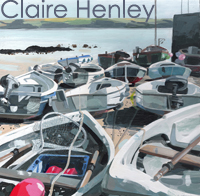 Claire Henley, too, has sent us some new works to replace her ever-growing sales. Blimey, her Hidden Hut range of prints have been flying, too! The inimitable Ben Taffinder has been keeping us stocked with his magical work and that lovely fella Tom Marsh sent down some lovely Online-Only exclusives, too. They’re Gorge! 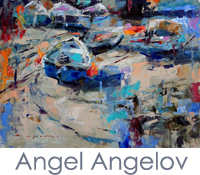 And if you haven’t seen Angel Angelov’s works, get in quick, cos two have sold right off the back! 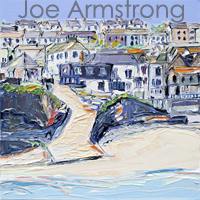 Joe Armstrong has dropped in some fresh work and also added some online-only exclusives for you and Philip Tyler sent 4 new works down last week, so they’re up and running here, too. 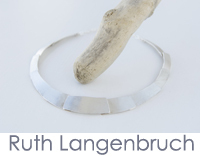 Lastly I want to give a special shout-out to our sculptors and jewellers, especially Andrew Thomas and Ruth Langenbruch. 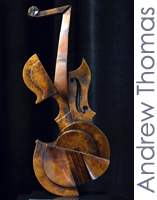 Their exceptional work and talent has so many people’s admiration and eye when coming into the gallery, so do drop in and check out their beautiful work… again, superb Christmas gifts. Oh and on the subject of gifts, do remember us when thinking about those who are tricky to buy for. Contribution Buying and our popular Gift Tokens are a great way of supporting the arts whilst giving someone you love the option of choosing from our huge range themselves. So that’s it, me lovelies. I truly hope you can make the exhibition but of not, check out everything online where we’ll always be, rain or shine, 24/7, 365! Have a superb Christmas and look forward to reporting back on New Year’s Day! In the run-up to my holidays this month I couldn’t help reflect on how excited I used to get, preparing to visit Portscatho; somewhere I now call home. 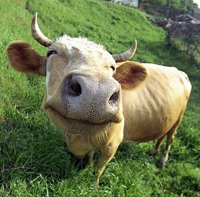 Give a horse, cow or dog the same routine for years and they’re happy. For us, the grass seems always greener and we never seem satisfied with our lot. If only I had this, or I lived there, I’d be contented and happy… read more.